When I reviewed the Dell Vostro earlier, I thought it was already a well-tuned machine – except the speakers wasn’t that great. Then Dell passed me the XPS 15z for review, and I was more impressed. It’s got most of the advantages of the Vostro plus some more. For a start, the product packaging departs from the warehouse-brown box look. Upon opening the box, you will find another laminated storage box. 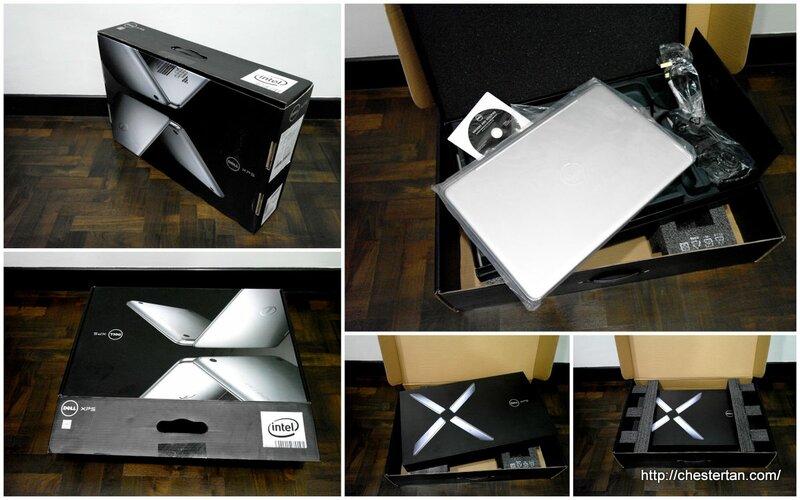 The items in the inner box – laptop, charger, install discs, manuals – are neatly compartmentalised. In the previous XPS models, the interior looks no different from the regular Dell models, but with 15z, Dell radically redesigned the interior. Full HD 1920×1080 resolution over 15.6″ screen size is really a comfort to view. Very bright display – 300 nits. I can view it even under bright light conditions. Powerful sound reproduction, thanks to top-facing speakers, unlike the Vostro and Inspiron models where the speakers are placed below the laptops. Aluminum and magnesium-alloy casing gives the XPS 15z a good firm exterior feel. The power indicator blends into the striped-hinge design. Small problem: the indicator is hard to see under bright light conditions. For absorbing the impact of closing the laptop, rubber linings go around the screen instead of short rubber strips. A well-thought design feature. Longer lasting 8-cell battery, but not removable. 5-point battery check button allows you to check remaining battery level. Useful when the laptop is not on and you wondered if you should charge the laptop. No VGA port, though it comes with a mini Display Port, which means you can purchase converters. No USB ports on the right side, which means right-handed users have more cable mess when plugging USB peripherals. Multi-touch gesture is not responsive at all. Very frustrating to use it. I personally do not like the stylised keyboard fonts. Battery is not removable, but then again, the battery would probably outlast the usefulness of the laptop. Slot-in CD/DVD drive motor is very noisy, kind of spoils the elegance of this product. The designers of Dell XPS 15z has indeed put in some commendable effort to make this product look stylishly modern. I also like the overall build, screen quality and OS response, thanks to above-average processor and hard disk specs. In pursuit of minimalist design, the XPS 15z comes with less connectivity ports than the Vostro and Inspiron: 2 USB 3.0 ports, 1 USB/eSATA combo port, 1 HDMI 1.4, 1 mini Display Port, 1 multi-card slot. At a premium price over the other Dell consumer or business models, the XPS 15z gives a sturdier build, larger 15.6″ full-HD 1920×1080 resolution, 8-cell battery, larger touchpad, and better-sounding speakers. So if you fancy the design, I’d say it’s a great model to get.